Don't miss out on these hidden gems! 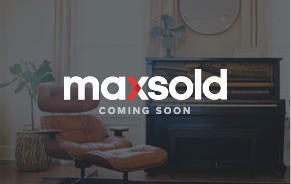 Sell your goods easily and profitably from an estate, downsizing, or relocation by May 9th. 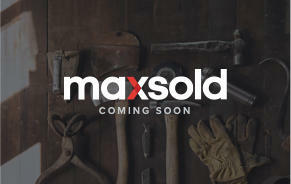 Discover the many benefits of MaxSold auctions. This online auction features crystal, Arm Chair, Antique Glassware, Whirlpool Side by Side Refrigerator Freezer, Rival Frozen Yogurt Maker, Pool Table, Nippon Tea Service, Royal Doulton Fine China Coffee Service, Wall Clock, Arm Chair, Sofa, Oriental Chest, oil painting by McDaine, Trouser Press, Nordic Track, Weider Max Workout and much more! This online auction features ANTIQUE: FURNITURE - Buffet, dresser and white painted church pew. VINTAGE: FURNITURE - VANITY, 50's bedroom suite of headboard with storage, dresser with mirror, chest of drawers. FURNITURE: Glass top pedestal table with four microfiber chairs; rectangular wooden table and two chairs; Pinehutch; apothecary chest; wine cabinet; 14 drawer chest of drawers; rolltop computer desk. OUTDOOR - Rattan sofa, chair and ottoman, two rocking/swivel chairs with table, all with cushions set. SHOP POWER TOOLS: Chicago 10" compound slider miter saw, Ryobi bandsaw, Skil router table, Craftsman tablesaw; hand held power tools; rolling tool chest/tools/hardware; wood for wood working. ELECTRONICS: Stereo components; many computer parts and components. COLLECTIBLE; Tom Clarks Gnomes; pewter/brass; coins/currency; sport memorabilia; figurines; pottery; Delft beer mugs; vintage linens/hankies; vintage cameras; belt buckles. ART: Masai women painted on fabric; many colorful metal pieces. CHINA/CERAMICS: White serving dishes; Arcadian "Old Rose"; Lenox "Mayworth" and holiday dishes. GLASS: Vintage refrigerator storage, milk glass; blue stemware. YARD AND GARDEN and much more! This online auction features VINTAGE: Eastlake style cabinet/server, oak china cabinet; HANDMADE: Bedroom suite - two twin beds, night table, chest of drawers and vanity; wooden ware. WOOD WORKERS SHOP CONTENTS: Craftsman drill press, bandsaw, tablesaw; Ryobi router table; wood lathe; many hand-held power tools; huge amount of wood turning tools; books. CHINA: Wedgwood "Swansea" and other patterns; pieced creamware; 35 pieces Rosenthal; assorted. GLASS/CRYSTAL: Lustres; cut/pressed serving pieces. COLLECTIBLE: Tole trays; copper. Bernina sewing machine. Yard and Garden and much more! This online auction features floor rugs, paintings, Royal Albert bone china and much more! This online auction features Bee Keeping Equipment, Sharp 46" TV And Stand, Vintage Wardrobe, Mini Refrigerator, DVDs, Folding Utility Table, Noritake Bone China, Crystal Glassware, books, Sentry gun safe, Computer Desk, Ladders, Solar Oven, Antique White Sewing Machine, Haier Air Conditioner, Vintage Buffet and much more! This online auction features Franciscan Dinnerware, Toys, Ukulele, Yamaha Guitar, Thomas Pacconi Hand Blown Glass Christmas Ornaments, Sports Cards, Xbox 360 Go Pro, Star Wars Legendary Yoda & Space Ship, Antique Luminaire Parlor / Funeral Fan, Vintage McDonald's Plates, McCoy Cookie Jar, Tyco Train Model, Embossed Coca Cola Cooler, Sunflower oil on canvas and much more! This online auction features Georg Jensen, Denmark 800 silver flatware set. Vintage Emil N Skalin, Stockholm clock with keys. TWO TEA SETS: Rosenthal "Chippendale"; a Murano glass tea set with tray; 800 silver teapots. CHINA: Very large quantity of a Meissen dinner set and Meissen figurines; Blue and white pieces. FURNITURE: Vintage Chippendale dining room suite - china hutch, buffet, table and chairs; five modern dining chairs; Queen Anne wing chairs; inlaid side table and more! 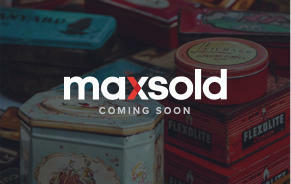 COLLECTIBLE: Brass dish warmer, pitchers; copper kettle; marble lamps and decor. YARD AND GARDEN and much more! This online auction features Norman Rockwell plates and mugs, David Winter collectible ceramic village sets, silver, crystalware, walker, ceramic planters, round table, table lamps, stand lamps, end tables, outdoor chairs, umbrellas, tables, chaise lounges, vintage chairs, small kitchen appliances, coffee mugs, bakeware, trash bin, painting, dining table and chairs, coffee pots, commemorative basketball, books, carry bags, Christmas decor and much more! This online auction features FURNITURE: Lapacha handcarved in Paraguay bar table and desk; vintage oak armoire, dining table and chairs; leather rocking/reclining chairs and reclining sofa. ANTIQUE: E. Ingraham Co. gingerbread mantle clock; copper milk can. MUSICAL INSTRUMENTS: Wurlitzer upright piano, full size harp, ChromAharp, Yamaha clarinet. Lapidary machine. Paragon kiln. Electric fireplace. Vintage Singer in cabinet sewing machine. APPLIANCES: Frigidaire washing machine, Samsung electric dryer, LG fridge. SPORTING GOODS: Fishing rods, reels - Penn Senator, Sailfisher, Internation; bicycles. ART: Framed Mola's, Southwestern themed; pottery. COLLECTIBLE: Steins/beer mugs; ephemera; David Winter; dolls/Barbies; bells; Sterling silver "stamps of the world", Towle bowl; aircraft model kits; vintage vinyl. JEWELRY: Opal bracelet and earrings set, turquoise pieces. GLASS/CRYSTAL: Punch bowl set; brown footed goblets; cut/pressed serving pieces; ruffled edge bowl. COPPER POTS AND PANS. CHINA: Noritake and Lenox dishes; Dansk "Mesa" stoneware and serving pieces. TOOLS: Ryobi, Craftsman, Black and Decker, Dremel and more! ELECTRONICS. Automotive and much more! This online auction features computer monitors, printers, glassware, wall art, DVDs, cameras, speakers, stereo equipment, holiday decor, computer accessories, DVD players, shelving, backpacks, wall art, board games, coins, office supplies, ladders, bicycles, barbecue, yard tools, wall mounts, power tools and much more. This online auction features FURNITURE: Lighted display cabinet, Alan White upholstered pieces, Bernhardt fabric and leather sofa, love seat, coffee and end tables, king bedroom suite, two twin bedroom suites, table and 6 chairs. Electralog fireplace. Electronics: Wii Fit Plus, Sharper Image CD system. JEWELRY: Sterling. YARD AND GARDEN: Live plants, stone bird baths, Oklahoma Joes Grill and smoker. And more! This online auction features light fixtures, projectors, office supplies, camera, sewing machines, luggage, costume jewelry, holiday decor, eBike, golf carts, shelving, hand and power tools, books, audiobooks, VHS tapes, CDs, wall art, TV, glassware, exercise machine, Christmas tree, washer and dryer and much more! The online auction went smoothly and the pick-up for the items I won was easy. I was a buyer. The staff at pickup were friendly and helpful. The item pictures were good and items were as described. 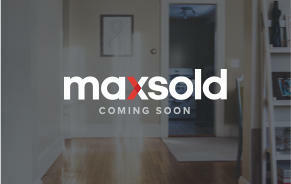 I will be doing some downsizing a family estate within the next year and will most definitely consider MAXSOLD. 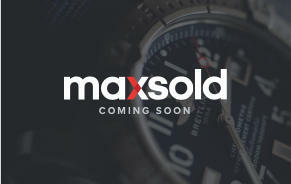 The MaxSold people I met were excellent and seemed very organized despite the onslaught of people they remained calm and polite the entire time. Super friendly staff. Made sure I was taken care of and had everything. Other customers were all willing to help each other. Great job! This was my first Auction with your company and it was great. In person it was more than I expected. Love it! I love auctions and this is a great way to do it. Easy in and out. This was so easy. I have never participated in anything quite like this before. Please hurry and do more. Pick up was so organized. Items were together and team knew where each item was when I walked in. 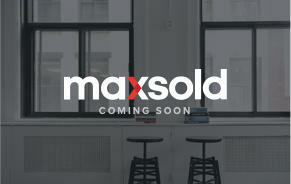 I am in love with Maxsold.com and the Max Sold team. 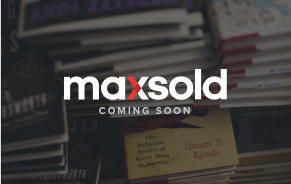 I've only entered in 2 auditions and both pickups were made less stressful by the MaxSold team. Each pickup, the team was very friendly, knowledgeable and super helpful. 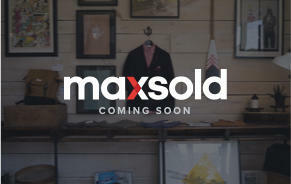 I have already recommended Maxsold.com for its prices but now I recommend it for the all around experience. Much easier than purchasing anything from a store. The team was fantastic, professional and knowledgeable. I feel that they really did a thorough job researching my items. Adam and his team are extremely helpful and supportive. We love this resource!